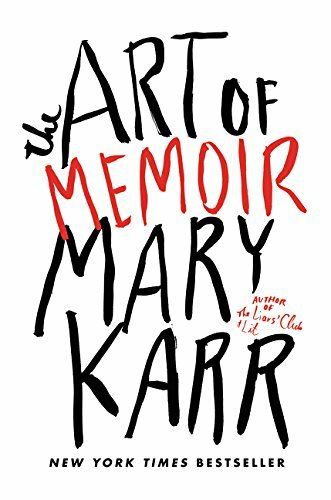 Mary Karr is her usual no-nonsense, Texas badass self in The Art of Memoir. Her new work explores the whys and hows not only of her own autobiographical books but those of some two dozen well-known memoirists that include Mary McCarthy, Frank Conroy, and Cheryl Strayed. Karr tackles the common misunderstanding that memoir is by nature mostly invented given that memory is often unreliable. She takes James Frey to task for his outright fabrications that so damaged the reputation of memoir as a reputable form. It’s not necessary to exaggerate, she says. Readers can always tell because embellishments read false. No matter how mundane you might think the truth is, it will be sufficiently moving and important to the reader if it is told honestly and sincerely. Much of the material draws on experience gained from the writing seminar that Karr has taught at Syracuse University for decades. But this is no academic book. Readers will come away better equipped to read authors more deeply, and writers will find countless gems to help them in their craft.